← Time for a Change! A photo was reposted several times on Facebook a few weeks ago. It was of an empty park bench and had this question posted with it, “If you could sit here with anyone from the past or present for one hour, who would it be?” I immediately thought of my Grama, who was affectionately called Mamacita by my dad. I loved Grama so much. Having passed away in 1997, she never knew my children as my oldest wasn’t born until four years later. Not a day goes by that I don’t miss Grama. 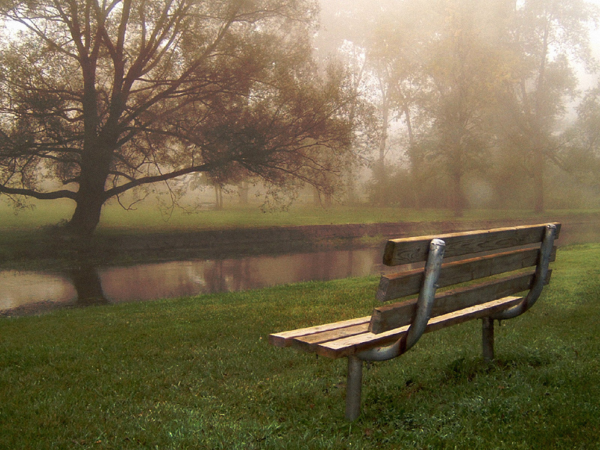 Every day as different friends posted that park bench photo, I turned away. I didn’t want to see that empty bench knowing that the only person I wanted to sit with wasn’t alive. It hurt too much. The more the picture circulated though, as much as I tried to look away, I began to think of something else. I wasn’t thinking about people I miss but ideas I missed out on. Some of those ideas have to do with my children and about the choices I’ve made for them. Other ideas were about me and the confidence I lacked as a young mother. Several of those ideas have already been shared here on TMR already, like Mountain Mama’s How I Gave My Son Autism post and with Blaze’s recent post about the cause of her son’s autism. But some ideas have yet to be discussed. So, today, with your help, I’d like to bring those ideas closer to the surface. Plus, they’ll help me with a long-term project I am working on. We can almost all agree that something caused our child’s autism. 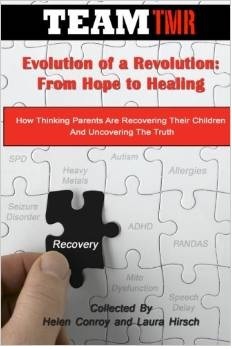 Be it genetics, overuse of antibiotics, vaccines, anesthesia or other theories, our children were affected by outside influences not typically seen in previous generations. Through sharing our own stories publicly, many of us learned that we were not alone in finding help for our children. In discovering each other, and by becoming very vocal, we’ve slowly made an impression on others. Hoping to skirt the issues we and our children have, some people have heeded our advice. They now know to read, to research, to ask questions and to never forget to think. I’m glad for that, but I wonder if we can go a step further. If you could do it over again, what would you tell yourself to do? If you saw those red flags waving, the ones you so easily can recognize now, what would you say to alert yourself? What books or blogs would you demand that you read? What would you insist on doing (or not doing) during your prenatal timeframe and during your child’s early development? What sort of lifestyle or environmental changes would you make? Who would you warn yourself about? Finally, if you could change just one thing, what would it be? Now, imagine it isn’t for yourself that you wrote those answers. Imagine that a young mom is reading those answers. Maybe she’s pregnant. Maybe she already has a child, but that child is showing early signs of something, something you and I know can lead to an autism diagnosis. Think about those moms. What are the things you’d want to tell those moms? 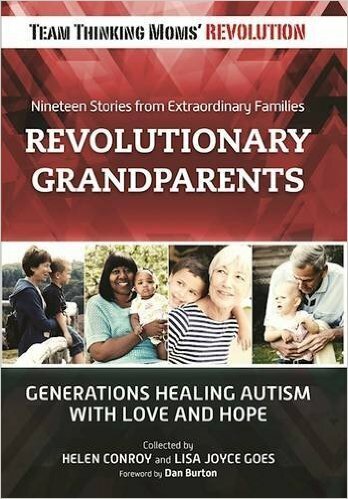 They need our stories so that they can create healthier outcomes for their children. Those moms are listening to what we’re saying. They are reading what we’re writing. Knowing that, imagine you’re sitting with that mom on a park bench. You have her attention and unlimited time. What else would you add to your answers that you’ve just written down? If my Grama was alive today and we could sit on that park bench together, I wonder what she’d say about my son’s issues. Would today’s childhood epidemics shock her as they do me? Would she appreciate why I long to return to simpler times, to the era when she grew up? I’m sure my Grama would be one of my biggest supporters as family meant the world to her as it does to me. Today, my family extends beyond those whom I’m related to. It reaches into other homes and across the world. I joined them when I asked myself what I’d do differently. Those answers gave me direction. The ones you wrote can be a guide to someone too. They may be the support for someone who hasn’t found her way yet. They may be a lifeline, the one that no one thought or knew to toss us. Don’t keep those answers to yourself. Share them with someone. Jot them down, and send them to me, too. In sharing them, know that together we are protecting someone from following too closely on the same path we took with our children. If you would like to send your answers to the questions posed, please email Mamacita at [email protected]. 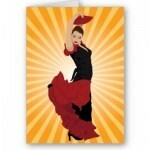 For more by Mamacita, click here. 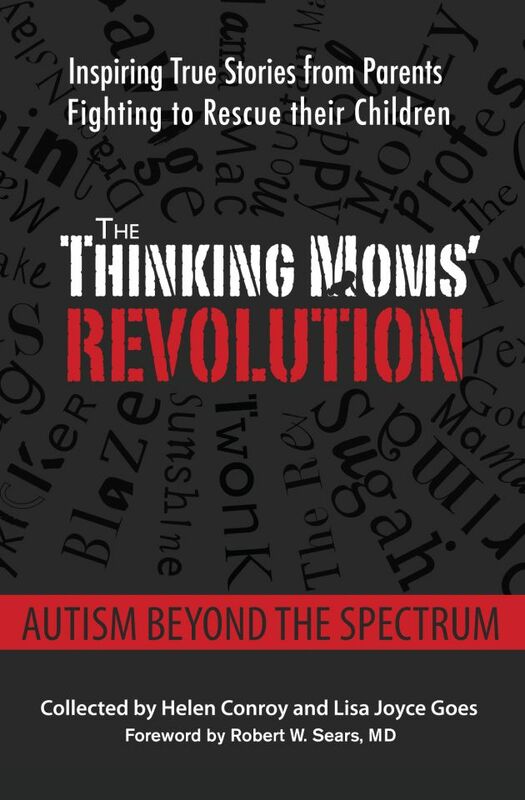 This entry was posted in Blogs by Thinking Moms' Revolution, Mamacita TMR and tagged autism, Blaze, Cathy Jameson, causes of autism, environment, genetics, Mamacita, Mountain Mama, pregnancy, The Thinking Moms Revolution, TMR, vaccines. Bookmark the permalink. If I could do it all over, I wouldn’t change my child. I would tell myself that there will be Really difficult days….the days you see other kids playing with other kids at the pool and your child trying to play too, yet has no idea how. But there will be other days…the days you are so aware of the all accomplishments that other parents will miss. With all the disconnection there is so much connection on another level. I would tell myself that people who don’t live your life just don’t understand and to expect parents and other children to disappoint you in their lack of empathy. But I would also tell myself that every once in a while there will be a person..a child that will ‘get’ him….and that he will in those moments discover what it’s like to feel understood and safe. He will find a friends…maybe not many…but one day he will emerge from his formative cacoon and surprise us all. There are no mistakes only lessons and wisdom. If I could do it over again .. I wouldn’t believe everyone when they said “he’ll catch up, boys always talk later than girls”. I wouldn’t have let his pediatrician vaccinate him when we were just out of hospital for a life threatening illness and he was on antibiotics for 4 months and had had more blood draws that morning. I wouldn’t have kept feeding him the foods that made him sick and gave him eczema and asthma. I wouldn’t have pumped him full of antibiotics and steroids and cortisone. If I could do it all over again I’d question more, put myself out more, stand up and be heard, take his health into my own hands, stop being complicit to the “experts”. If only I could do it all over again. Oh, I wish I could go back! My daughter gradually descended into autism despite not being vaccinated. No one warned me that my breast milk contained environmental and accumulated toxins! I would not have BF her for so long (four years!!) if I had known about the toxic load I was feeding her ): She is doing so much better now on food, but is still damaged due to my ignorance. I hope the chelation we are doing will help. I have an unvaccinated daughter with autism too. All the cases of unvaccinated children with autism that I have come across are girls… Interesting. If I had to do it over again I would have gotten rid of my cell phone the Wi-Fi and never used a wireless monitor just inches away from my baby’s head. I’m so fortunate to have two healthy children. I can’t thank all these brave women enough for sharing their stories. In reading these accounts, I have been encouraged to make decisions that have helped to keep my children safe. I am listening. You are reaching people. The voice of modern medicine screams loudly, but your cries are being heard. Because of you, I doubt and question when many blindly trust. Thank you!!! 1. Don’t confuse ‘common’ for ‘normal’. 2. This generation’s vaccination schedule is not your vaccination schedule. Do some research and question everything. 3. The gut of the average American is sorely lacking in functionality as it was designed to do because of chemicals dressed up as food, antibiotics, loss of fermented foods in the diet, GMOs, over-processed/packaged food and mass consumption sugar. 4. In the Standard American Diet, likely 90% of what you are currently eating is not nourishing and it’s not something your body recognizes as food. Your body is starving for nourishment. 5. Dis-Ease is manifested differently in each person but it can all be linked back to your ‘terrain’. If your body is hospitable for bugs/virus/parasites/bacteria, they will stick around and cause dis-ease. 6. Your body has an amazing ability to heal itself. Support it in healing. Believe in healing. Love your body by giving it what it needs and craves. I love this. Truly I do. I’m almost a year into “suspecting”. 6 months into “accepting”. and 3 months into “healing”. I obsess. Probably at an unhealthy level, but how can I not? When the answers are out there, somewhere. I worry that I bother people who I know can help me. I try to spread out my questions and gain support through multiple support outlets so as not to tap anyone out. Because as moms, as women, as chosen warriors, the ignorance in the world, the misinformation EATS at us. From the inside out and back inside again, every breathing moment is spent with a fury, an insatiable desire to do something. Something, ANYTHING! It’s like a frenzy, because the truth is I can’t do it over. I waited 33 years to become the person I always longed to be – a mommy and now I spend every second of every day developing a plan to get my son back, to divide my attention between both of my attention, and my husband and everyone else who needs me. But what if I hadn’t had an epidural? What if I hadn’t let them inject me with steroids twice a week for the last few weeks of my pregnancy so that the doctor could schedule to induce me before he went on vacation “just in case his lungs don’t develop fully in time”. What if I hadn’t put him under anesthesia for FOUR sets of tubes in his ears? What if I hadn’t dosed him with antibiotics and steroids every time his nose started running? What if my daughter hadn’t gotten hand foot and mouth disease when he was 1 week old, stealing my attention away from my newborn and interrupting our bonding. What if I hadn’t had to go back to work when he was 3 weeks old, further killing my bonding time with him. What if I’d listened to a close friend whose son was permanently damaged by vaccines? What if I’d taken him to the ER on that fateful day and they’d have found brain swelling and he’d qualify for benefits from vaccine court? UGH!!! But, I can’t. I can’t ever know. My son’s tiny words and huge smile tell me that it’s all gonna be ok. This amazing network I’ve found tell me that I’m not in it alone. The powers that be tell me that my voice CAN be heard, that I CAN keep someone else from this heartache. Thank you TMR for helping me always think this through. You are an answer to a prayer. Susan, consider yourself virtually hugged by a stranger. We’ve all been there, to some extent. Just do me a favor, momma . . . use this as a means of catharsis. You didn’t know what you didn’t know . . . none of us did. Absolution may not be found in this life, but there is NO need to blame yourself. TMR . . . you. are. vital. Don’t ever stop blowing the trumpet. I sobbed like a baby reading your response, Susan. 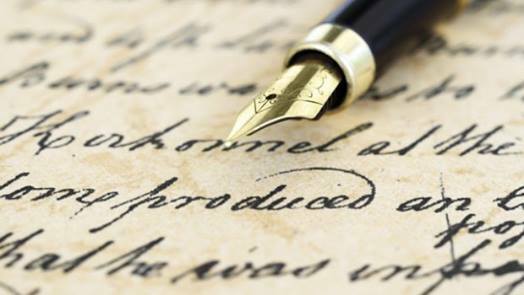 What you’ve written is emotional, beautiful, tragic. But you, like so many of us now, have had your eyes opened. That revelation hurts, but I promise you it also helps. Thanks for leaning on us. I know people will find comfort and strength in you as well.